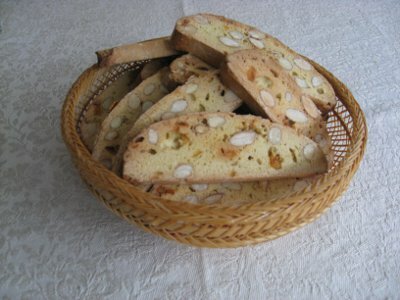 This is a recipe to make a “hard” crunchy version of the classic biscotti called Cantucci. 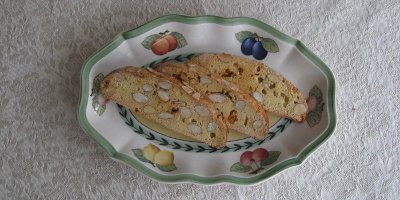 I added some of my home-made candied orange rind. 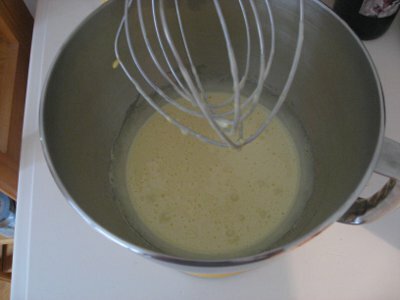 1) Put the eggs with the sugar in a bowl and whisk very well until light and foamy. 2) Add the vanilla extract, a pinch of salt, and slowly add the flour while mixing with the flat beater attachment. 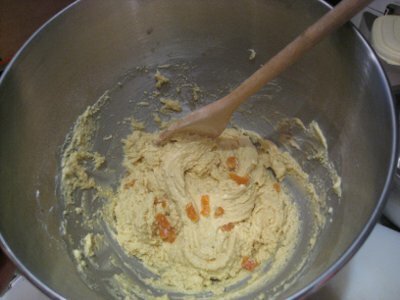 3) Add the candied orange peal, and the whole almonds. Mix well with a wooden spoon. 4) Pour the dough over a working surface well dusted with flour. Shape the dough. 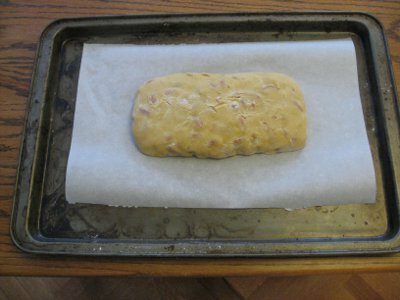 Cover a baking sheet with parchment paper and transfer the dough on it. Brush the surface of the dough with some milk and sprinkle it with some sugar. 5) Bake in the oven preheated to 356F for 25 min or until golden. 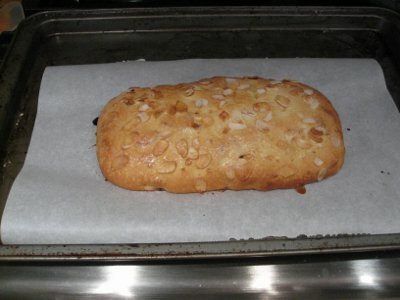 6) When golden take it out of the oven, let it cool down for five minutes and then slice it. 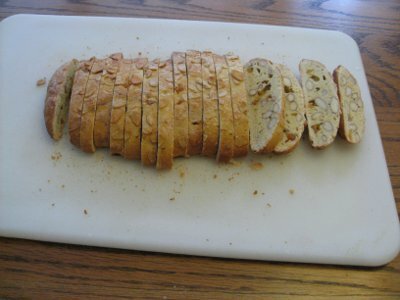 7) Lay the slices back on the baking sheet and bake for 5 more minutes. Then turn the slices on the other side and bake for other 5 minutes. Keep an eye on them so they do not darken too much. 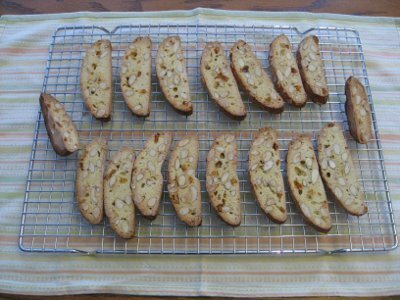 8 ) Lay the biscotti on a grid to cool down. Good to know you have a cooking blog! I will stop by for inspiration.